Over the Rainbow: Stitch Fix! 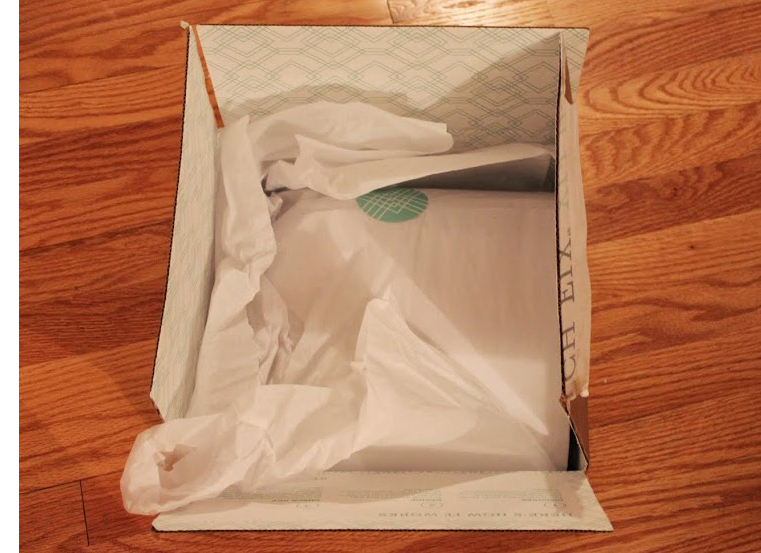 It's been a few weeks since my first Stitch Fix box arrived, and I can't wait to share! For those of you who are unfamiliar, Stitch Fix is a styling service where you fill out your style preferences and then receive a box of 5 items in the mail. Once you try on the items (at home--no babies crawling under dressing room walls!) you can decide which ones to keep or return. Then, you simply go online and check out and drop any items you don't want in the mail. Enclosed is a sheet with pricing information. One fun aspect of Stitch Fix is that if you buy all 5 items, you get 25% off! I really loved the style, but the dress was too short for me. While I can sometimes layer dresses over skirts, this one didn't quite work that way. At $68, that was a resounding "NO." I loved the print, but the fit was a bit too big and the style seemed too mature for me. I liked it better from afar--the pattern is really me--but the fit just wasn't right. This top was also $68, and also a no. My first thought, honestly, was "eh." It seemed okay, but nothing special. It turns out the top went beautifully with a belt I had in my closet (one of the perks of Stitch Fix--shopping your own closet for options!) and it really grew on me. At $68, it was more expensive than I would normally spend, but I love it and wear it. And don't mind the little pink photo-bomb above--she decided to come in for a full photo afterwards! I loved the look of it. Unfortunately, however, I didn't love it on. 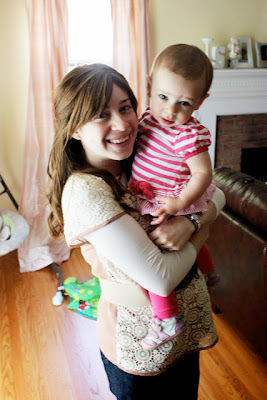 I just felt it highlighted that tummy area I'm not so thrilled about post-baby. At another $68, this was a no. My final item was an adorable anchor-print scarf. I figured spending $40 for something I was very unlikely to wear didn't make much sense, so this one went back too. Overall, I was happy with the Stitch Fix experience. I thought the stylists did a great job intuiting my style. The biggest downside for me is that the prices are so high, although I do think the 25% off savings if you buy everything can make it more manageable. I won't do this on a monthly basis (that's all my bank account needs!) but would definitely try it again. If you would like to try Stitch Fix, feel free to use my referral code here. Have YOU heard of/tried Stitch Fix? What do you think? hmmmm - interesting shopping! glad it was fun! Looks like a fun service! TFS! I wish we had it here. Love that crochet top! Great choice!! So glad you posted your review Keshet! LOVE the crochet top you kept! Very cute items! I think they did a great job capturing your style.